The Lithuanian Art Museum, a member of ICOM, has been a national museum since 1997. Having a public institution established in 1907marked the beginning of its history. The museum has valuable collections of fine art, applied arts and folk art as well as a rich library, an archive and a photo archive. Since 2009 it has been responsible for organizing and coordinating digitization activities at Lithuanian museums and functions an approved administrator and a recognized national training center. For this purpose, the special branch Lithuanian Museums’ Centre for Information, Digitization and LIMIS was established in 2009.
img. 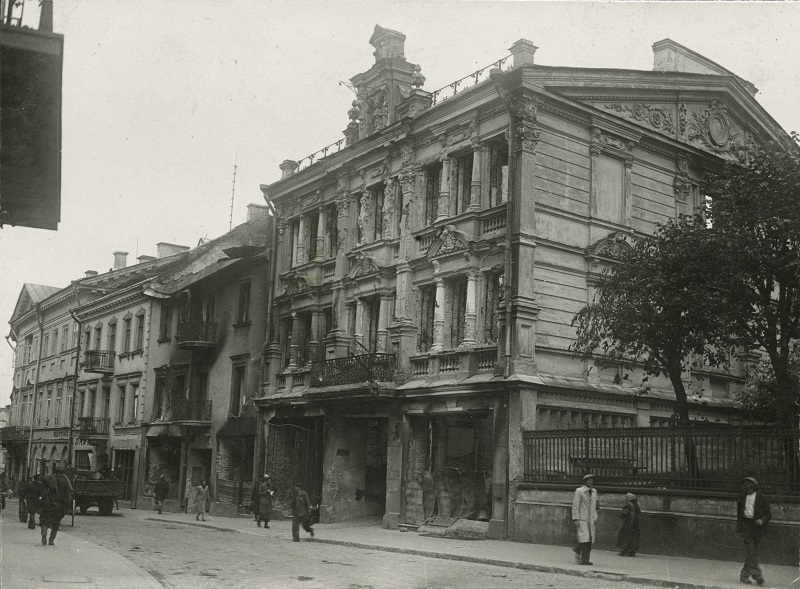 J. Bułhak | Didžioji Street – Vilnius (Lithuania), July 1944 © Lietuvos dailės muziejus / Lithuanian Art Museum.